3rd Row Seat, Heated Leather Seats, Sunroof, iPod/MP3 Input, Keyless Start, Bluetooth, Power Liftgate, Alloy Wheels. Majestic Black Pearl exterior and Parchment interior, MDX trim. FUEL EFFICIENT 27 MPG Hwy/20 MPG City! READ MORE! KEY FEATURES INCLUDE Third Row Seat, Leather Seats, Power Liftgate, Rear Air, Heated Driver Seat, Back-Up Camera, Satellite Radio, iPod/MP3 Input, Bluetooth, Keyless Start, Dual Zone A/C, Smart Device Integration, Lane Keeping Assist, Steering Wheel Controls, Seat Memory Rear Spoiler, MP3 Player, Sunroof, CD Player, Aluminum Wheels. Acura MDX with Majestic Black Pearl exterior and Parchment interior features a V6 Cylinder Engine with 290 HP at 6200 RPM*. EXPERTS RAVE Great Gas Mileage: 27 MPG Hwy. OUR OFFERINGS After more than 50 years in business, The Hubler Auto Group, through the power of eleven central Indiana locations, has sold hundreds of thousands of vehicles and is one of the oldest and most respected auto dealers in the state employing 550 people. The Hubler Auto Group and has earned the right to brag by having one of the largest and most loyal customer bases in Indiana. Horsepower calculations based on trim engine configuration. Fuel economy calculations based on original manufacturer data for trim engine configuration. Please confirm the accuracy of the included equipment by calling us prior to purchase. Heated Leather Seats, Third Row Seat, Moonroof, Keyless Start, Bluetooth, Rear Air, Aluminum Wheels, Power Liftgate. FUEL EFFICIENT 27 MPG Hwy/20 MPG City! Performance Red Pearl exterior and Parchment interior, MDX trim CLICK ME! KEY FEATURES INCLUDE Third Row Seat, Leather Seats, Power Liftgate, Rear Air, Heated Driver Seat, Back-Up Camera, Satellite Radio, iPod/MP3 Input, Bluetooth, Keyless Start, Dual Zone A/C, Smart Device Integration, Lane Keeping Assist, Steering Wheel Controls, Seat Memory Rear Spoiler, MP3 Player, Sunroof, CD Player, Aluminum Wheels. Acura MDX with Performance Red Pearl exterior and Parchment interior features a V6 Cylinder Engine with 290 HP at 6200 RPM*. EXPERTS CONCLUDE Edmunds.com explains . the MDX remains a top pick for a luxury SUV. With three rows of seating and a large, comfortable cabin, it works great as a family hauler, and it presents plenty of value thanks to an impressive number of standard features for the money.. Great Gas Mileage: 27 MPG Hwy. WHO WE ARE After more than 50 years in business, The Hubler Auto Group, through the power of eleven central Indiana locations, has sold hundreds of thousands of vehicles and is one of the oldest and most respected auto dealers in the state employing 550 people. The Hubler Auto Group and has earned the right to brag by having one of the largest and most loyal customer bases in Indiana. Horsepower calculations based on trim engine configuration. Fuel economy calculations based on original manufacturer data for trim engine configuration. Please confirm the accuracy of the included equipment by calling us prior to purchase. 3rd Row Seat, Heated Leather Seats, Sunroof, iPod/MP3 Input, Power Liftgate, Alloy Wheels, All Wheel Drive, Satellite Radio. Lunar Silver Metallic exterior and Graystone interior, MDX trim. FUEL EFFICIENT 26 MPG Hwy/19 MPG City! CLICK ME! KEY FEATURES INCLUDE Third Row Seat, Leather Seats, All Wheel Drive, Power Liftgate, Rear Air, Heated Driver Seat, Back-Up Camera, Satellite Radio, iPod/MP3 Input, Bluetooth, Keyless Start, Dual Zone A/C, Smart Device Integration, Lane Keeping Assist, Steering Wheel Controls. Rear Spoiler, MP3 Player, Sunroof, CD Player, Aluminum Wheels. Acura MDX with Lunar Silver Metallic exterior and Graystone interior features a V6 Cylinder Engine with 290 HP at 6200 RPM*. EXPERTS ARE SAYING Great Gas Mileage: 26 MPG Hwy. VISIT US TODAY After more than 50 years in business, The Hubler Auto Group, through the power of eleven central Indiana locations, has sold hundreds of thousands of vehicles and is one of the oldest and most respected auto dealers in the state employing 550 people. The Hubler Auto Group and has earned the right to brag by having one of the largest and most loyal customer bases in Indiana. Horsepower calculations based on trim engine configuration. Fuel economy calculations based on original manufacturer data for trim engine configuration. Please confirm the accuracy of the included equipment by calling us prior to purchase. Moonroof, Heated Leather Seats, Third Row Seat, iPod/MP3 Input, Power Liftgate, Aluminum Wheels, All Wheel Drive, Rear Air. Lunar Silver Metallic exterior and Graystone interior, MDX trim. FUEL EFFICIENT 26 MPG Hwy/19 MPG City! READ MORE! KEY FEATURES INCLUDE Third Row Seat, Leather Seats, All Wheel Drive, Power Liftgate, Rear Air, Heated Driver Seat, Back-Up Camera, Satellite Radio, iPod/MP3 Input, Bluetooth, Keyless Start, Dual Zone A/C, Smart Device Integration, Lane Keeping Assist, Steering Wheel Controls Rear Spoiler, MP3 Player, Sunroof, CD Player, Aluminum Wheels. Acura MDX with Lunar Silver Metallic exterior and Graystone interior features a V6 Cylinder Engine with 290 HP at 6200 RPM*. EXPERTS REPORT . the MDX remains a top pick for a luxury SUV. With three rows of seating and a large, comfortable cabin, it works great as a family hauler, and it presents plenty of value thanks to an impressive number of standard features for the money. -Edmunds.com. Great Gas Mileage: 26 MPG Hwy. MORE ABOUT US After more than 50 years in business, The Hubler Auto Group, through the power of eleven central Indiana locations, has sold hundreds of thousands of vehicles and is one of the oldest and most respected auto dealers in the state employing 550 people. The Hubler Auto Group and has earned the right to brag by having one of the largest and most loyal customer bases in Indiana. Horsepower calculations based on trim engine configuration. Fuel economy calculations based on original manufacturer data for trim engine configuration. Please confirm the accuracy of the included equipment by calling us prior to purchase. 3rd Row Seat, Heated Leather Seats, Sunroof, iPod/MP3 Input, Power Liftgate, Alloy Wheels, All Wheel Drive, Satellite Radio, Back-Up Camera. EPA 26 MPG Hwy/19 MPG City! Modern Steel Metallic exterior and Ebony interior, MDX trim SEE MORE! KEY FEATURES INCLUDE Third Row Seat, Leather Seats, All Wheel Drive, Power Liftgate, Rear Air, Heated Driver Seat, Back-Up Camera, Satellite Radio, iPod/MP3 Input, Bluetooth, Keyless Start, Dual Zone A/C, Smart Device Integration, Lane Keeping Assist, Steering Wheel Controls Rear Spoiler, MP3 Player, Sunroof, CD Player, Aluminum Wheels. Acura MDX with Modern Steel Metallic exterior and Ebony interior features a V6 Cylinder Engine with 290 HP at 6200 RPM*. EXPERTS ARE SAYING . the MDX remains a top pick for a luxury SUV. With three rows of seating and a large, comfortable cabin, it works great as a family hauler, and it presents plenty of value thanks to an impressive number of standard features for the money. -Edmunds.com. Great Gas Mileage: 26 MPG Hwy. WHO WE ARE After more than 50 years in business, The Hubler Auto Group, through the power of eleven central Indiana locations, has sold hundreds of thousands of vehicles and is one of the oldest and most respected auto dealers in the state employing 550 people. The Hubler Auto Group and has earned the right to brag by having one of the largest and most loyal customer bases in Indiana. Horsepower calculations based on trim engine configuration. Fuel economy calculations based on original manufacturer data for trim engine configuration. Please confirm the accuracy of the included equipment by calling us prior to purchase. 3rd Row Seat, Heated Leather Seats, Sunroof, iPod/MP3 Input, Satellite Radio, Alloy Wheels, All Wheel Drive, Power Liftgate, Back-Up Camera. EPA 26 MPG Hwy/19 MPG City! Modern Steel Metallic exterior and Ebony interior, MDX trim SEE MORE! KEY FEATURES INCLUDE Third Row Seat, Leather Seats, All Wheel Drive, Power Liftgate, Rear Air, Heated Driver Seat, Back-Up Camera, Satellite Radio, iPod/MP3 Input, Bluetooth, Keyless Start, Dual Zone A/C, Smart Device Integration, Lane Keeping Assist, Steering Wheel Controls Rear Spoiler, MP3 Player, Sunroof, CD Player, Aluminum Wheels. Acura MDX with Modern Steel Metallic exterior and Ebony interior features a V6 Cylinder Engine with 290 HP at 6200 RPM*. VEHICLE REVIEWS Great Gas Mileage: 26 MPG Hwy. WHY BUY FROM US After more than 50 years in business, The Hubler Auto Group, through the power of eleven central Indiana locations, has sold hundreds of thousands of vehicles and is one of the oldest and most respected auto dealers in the state employing 550 people. The Hubler Auto Group and has earned the right to brag by having one of the largest and most loyal customer bases in Indiana. Horsepower calculations based on trim engine configuration. Fuel economy calculations based on original manufacturer data for trim engine configuration. Please confirm the accuracy of the included equipment by calling us prior to purchase. 3rd Row Seat, Heated Leather Seats, Sunroof, iPod/MP3 Input, Satellite Radio, All Wheel Drive, Alloy Wheels, Power Liftgate, Back-Up Camera, Rear Air. MDX trim. EPA 26 MPG Hwy/19 MPG City! CLICK ME! KEY FEATURES INCLUDE Third Row Seat, Leather Seats, All Wheel Drive, Power Liftgate, Rear Air, Heated Driver Seat, Back-Up Camera, Satellite Radio, iPod/MP3 Input, Bluetooth, Keyless Start, Dual Zone A/C, Smart Device Integration, Lane Keeping Assist, Steering Wheel Controls. Rear Spoiler, MP3 Player, Sunroof, CD Player, Aluminum Wheels. Acura MDX with Majestic Black Pearl exterior and Parchment interior features a V6 Cylinder Engine with 290 HP at 6200 RPM*. EXPERTS ARE SAYING Edmunds.com's review says . the MDX remains a top pick for a luxury SUV. With three rows of seating and a large, comfortable cabin, it works great as a family hauler, and it presents plenty of value thanks to an impressive number of standard features for the money.. Great Gas Mileage: 26 MPG Hwy. WHY BUY FROM US After more than 50 years in business, The Hubler Auto Group, through the power of eleven central Indiana locations, has sold hundreds of thousands of vehicles and is one of the oldest and most respected auto dealers in the state employing 550 people. The Hubler Auto Group and has earned the right to brag by having one of the largest and most loyal customer bases in Indiana. Horsepower calculations based on trim engine configuration. Fuel economy calculations based on original manufacturer data for trim engine configuration. Please confirm the accuracy of the included equipment by calling us prior to purchase. 3rd Row Seat, Heated Leather Seats, Sunroof, iPod/MP3 Input, Power Liftgate, Alloy Wheels, All Wheel Drive, Satellite Radio, Rear Air. MDX trim, Performance Red Pearl exterior and Parchment interior. EPA 26 MPG Hwy/19 MPG City! CLICK ME! KEY FEATURES INCLUDE Third Row Seat, Leather Seats, All Wheel Drive, Power Liftgate, Rear Air, Heated Driver Seat, Back-Up Camera, Satellite Radio, iPod/MP3 Input, Bluetooth, Keyless Start, Dual Zone A/C, Smart Device Integration, Lane Keeping Assist, Steering Wheel Controls Rear Spoiler, MP3 Player, Sunroof, CD Player, Aluminum Wheels. Acura MDX with Performance Red Pearl exterior and Parchment interior features a V6 Cylinder Engine with 290 HP at 6200 RPM*. VEHICLE REVIEWS Edmunds.com explains . the MDX remains a top pick for a luxury SUV. With three rows of seating and a large, comfortable cabin, it works great as a family hauler, and it presents plenty of value thanks to an impressive number of standard features for the money.. Great Gas Mileage: 26 MPG Hwy. MORE ABOUT US After more than 50 years in business, The Hubler Auto Group, through the power of eleven central Indiana locations, has sold hundreds of thousands of vehicles and is one of the oldest and most respected auto dealers in the state employing 550 people. The Hubler Auto Group and has earned the right to brag by having one of the largest and most loyal customer bases in Indiana. Horsepower calculations based on trim engine configuration. Fuel economy calculations based on original manufacturer data for trim engine configuration. Please confirm the accuracy of the included equipment by calling us prior to purchase. Sunroof, Heated Leather Seats, 3rd Row Seat, iPod/MP3 Input, Power Liftgate, Alloy Wheels, All Wheel Drive, Satellite Radio. FUEL EFFICIENT 26 MPG Hwy/19 MPG City! Performance Red Pearl exterior and Parchment interior, MDX trim AND MORE! KEY FEATURES INCLUDE Third Row Seat, Leather Seats, All Wheel Drive, Power Liftgate, Rear Air, Heated Driver Seat, Back-Up Camera, Satellite Radio, iPod/MP3 Input, Bluetooth, Keyless Start, Dual Zone A/C, Steering Wheel Controls, Seat Memory, Heated Seats Rear Spoiler, MP3 Player, Sunroof, CD Player, Aluminum Wheels. Acura MDX with Performance Red Pearl exterior and Parchment interior features a V6 Cylinder Engine with 290 HP at 6200 RPM*. EXPERTS CONCLUDE Great Gas Mileage: 26 MPG Hwy. BUY FROM AN AWARD WINNING DEALER After more than 50 years in business, The Hubler Auto Group, through the power of eleven central Indiana locations, has sold hundreds of thousands of vehicles and is one of the oldest and most respected auto dealers in the state employing 550 people. The Hubler Auto Group and has earned the right to brag by having one of the largest and most loyal customer bases in Indiana. Horsepower calculations based on trim engine configuration. Fuel economy calculations based on original manufacturer data for trim engine configuration. Please confirm the accuracy of the included equipment by calling us prior to purchase. Sunroof, Heated Leather Seats, 3rd Row Seat, iPod/MP3 Input, Power Liftgate, Alloy Wheels, All Wheel Drive, Satellite Radio, Back-Up Camera. MDX trim, Majestic Black Pearl exterior and Ebony interior. EPA 26 MPG Hwy/19 MPG City! CLICK NOW! KEY FEATURES INCLUDE Third Row Seat, Leather Seats, All Wheel Drive, Power Liftgate, Rear Air, Heated Driver Seat, Back-Up Camera, Satellite Radio, iPod/MP3 Input, Bluetooth, Keyless Start, Dual Zone A/C, Smart Device Integration, Lane Keeping Assist, Steering Wheel Controls. Rear Spoiler, MP3 Player, Sunroof, CD Player, Aluminum Wheels. Acura MDX with Majestic Black Pearl exterior and Ebony interior features a V6 Cylinder Engine with 290 HP at 6200 RPM*. EXPERTS ARE SAYING Great Gas Mileage: 26 MPG Hwy. VISIT US TODAY After more than 50 years in business, The Hubler Auto Group, through the power of eleven central Indiana locations, has sold hundreds of thousands of vehicles and is one of the oldest and most respected auto dealers in the state employing 550 people. The Hubler Auto Group and has earned the right to brag by having one of the largest and most loyal customer bases in Indiana. Horsepower calculations based on trim engine configuration. Fuel economy calculations based on original manufacturer data for trim engine configuration. Please confirm the accuracy of the included equipment by calling us prior to purchase. 3rd Row Seat, Heated Leather Seats, Sunroof, iPod/MP3 Input, Power Liftgate, Alloy Wheels, All Wheel Drive, Satellite Radio. White Diamond Pearl exterior and Parchment interior, MDX trim. FUEL EFFICIENT 26 MPG Hwy/19 MPG City! CLICK NOW! KEY FEATURES INCLUDE Third Row Seat, Leather Seats, All Wheel Drive, Power Liftgate, Rear Air, Heated Driver Seat, Back-Up Camera, Satellite Radio, iPod/MP3 Input, Bluetooth, Keyless Start, Dual Zone A/C, Smart Device Integration, Lane Keeping Assist, Steering Wheel Controls Rear Spoiler, MP3 Player, Sunroof, CD Player, Aluminum Wheels. Acura MDX with White Diamond Pearl exterior and Parchment interior features a V6 Cylinder Engine with 290 HP at 6200 RPM*. VEHICLE REVIEWS Great Gas Mileage: 26 MPG Hwy. WHY BUY FROM US After more than 50 years in business, The Hubler Auto Group, through the power of eleven central Indiana locations, has sold hundreds of thousands of vehicles and is one of the oldest and most respected auto dealers in the state employing 550 people. The Hubler Auto Group and has earned the right to brag by having one of the largest and most loyal customer bases in Indiana. Horsepower calculations based on trim engine configuration. Fuel economy calculations based on original manufacturer data for trim engine configuration. Please confirm the accuracy of the included equipment by calling us prior to purchase. Moonroof, Heated Leather Seats, Third Row Seat, iPod/MP3 Input, Power Liftgate, Aluminum Wheels, All Wheel Drive, Satellite Radio. MDX trim, Majestic Black Pearl exterior and Ebony interior. FUEL EFFICIENT 26 MPG Hwy/19 MPG City! READ MORE! KEY FEATURES INCLUDE Third Row Seat, Leather Seats, All Wheel Drive, Power Liftgate, Rear Air, Heated Driver Seat, Back-Up Camera, Satellite Radio, iPod/MP3 Input, Bluetooth, Keyless Start, Dual Zone A/C, Smart Device Integration, Lane Keeping Assist, Steering Wheel Controls Rear Spoiler, MP3 Player, Sunroof, CD Player, Aluminum Wheels. Acura MDX with Majestic Black Pearl exterior and Ebony interior features a V6 Cylinder Engine with 290 HP at 6200 RPM*. EXPERTS REPORT Great Gas Mileage: 26 MPG Hwy. MORE ABOUT US After more than 50 years in business, The Hubler Auto Group, through the power of eleven central Indiana locations, has sold hundreds of thousands of vehicles and is one of the oldest and most respected auto dealers in the state employing 550 people. The Hubler Auto Group and has earned the right to brag by having one of the largest and most loyal customer bases in Indiana. Horsepower calculations based on trim engine configuration. Fuel economy calculations based on original manufacturer data for trim engine configuration. Please confirm the accuracy of the included equipment by calling us prior to purchase. Moonroof, Heated Leather Seats, Third Row Seat, iPod/MP3 Input, Power Liftgate, Aluminum Wheels, All Wheel Drive, Rear Air. MDX trim, Performance Red Pearl exterior and Parchment interior. FUEL EFFICIENT 26 MPG Hwy/19 MPG City! CLICK NOW! KEY FEATURES INCLUDE Third Row Seat, Leather Seats, All Wheel Drive, Power Liftgate, Rear Air, Heated Driver Seat, Back-Up Camera, Satellite Radio, iPod/MP3 Input, Bluetooth, Keyless Start, Dual Zone A/C, Smart Device Integration, Lane Keeping Assist, Steering Wheel Controls Rear Spoiler, MP3 Player, Sunroof, CD Player, Aluminum Wheels. Acura MDX with Performance Red Pearl exterior and Parchment interior features a V6 Cylinder Engine with 290 HP at 6200 RPM*. EXPERTS CONCLUDE Great Gas Mileage: 26 MPG Hwy. MORE ABOUT US After more than 50 years in business, The Hubler Auto Group, through the power of eleven central Indiana locations, has sold hundreds of thousands of vehicles and is one of the oldest and most respected auto dealers in the state employing 550 people. The Hubler Auto Group and has earned the right to brag by having one of the largest and most loyal customer bases in Indiana. Horsepower calculations based on trim engine configuration. Fuel economy calculations based on original manufacturer data for trim engine configuration. Please confirm the accuracy of the included equipment by calling us prior to purchase. Sunroof, Heated Leather Seats, NAV, 3rd Row Seat, Alloy Wheels, All Wheel Drive, Power Liftgate, Back-Up Camera, Rear Air. EPA 26 MPG Hwy/19 MPG City! w/Technology Pkg trim, White Diamond Pearl exterior and Ebony interior SEE MORE! KEY FEATURES INCLUDE Third Row Seat, Navigation, Leather Seats, All Wheel Drive, Power Liftgate, Rear Air, Heated Driver Seat, Back-Up Camera, Premium Sound System, Satellite Radio, iPod/MP3 Input, Bluetooth, Remote Engine Start, Dual Zone A/C, Smart Device Integration Rear Spoiler, MP3 Player, Sunroof, Aluminum Wheels, Privacy Glass. Acura w/Technology Pkg with White Diamond Pearl exterior and Ebony interior features a V6 Cylinder Engine with 290 HP at 6200 RPM*. EXPERTS RAVE Great Gas Mileage: 26 MPG Hwy. OUR OFFERINGS After more than 50 years in business, The Hubler Auto Group, through the power of eleven central Indiana locations, has sold hundreds of thousands of vehicles and is one of the oldest and most respected auto dealers in the state employing 550 people. The Hubler Auto Group and has earned the right to brag by having one of the largest and most loyal customer bases in Indiana. Horsepower calculations based on trim engine configuration. Fuel economy calculations based on original manufacturer data for trim engine configuration. Please confirm the accuracy of the included equipment by calling us prior to purchase. Sunroof, Heated Leather Seats, Navigation, 3rd Row Seat, Alloy Wheels, All Wheel Drive, Power Liftgate, Back-Up Camera. Gunmetal Metallic exterior and Ebony interior, w/Technology Pkg trim. FUEL EFFICIENT 26 MPG Hwy/19 MPG City! CLICK ME! KEY FEATURES INCLUDE Third Row Seat, Navigation, Leather Seats, All Wheel Drive, Power Liftgate, Rear Air, Heated Driver Seat, Back-Up Camera, Premium Sound System, Satellite Radio, iPod/MP3 Input, Bluetooth, Remote Engine Start, Dual Zone A/C, Smart Device Integration. Rear Spoiler, MP3 Player, Sunroof, Aluminum Wheels, Privacy Glass. Acura w/Technology Pkg with Gunmetal Metallic exterior and Ebony interior features a V6 Cylinder Engine with 290 HP at 6200 RPM*. EXPERTS ARE SAYING Great Gas Mileage: 26 MPG Hwy. VISIT US TODAY After more than 50 years in business, The Hubler Auto Group, through the power of eleven central Indiana locations, has sold hundreds of thousands of vehicles and is one of the oldest and most respected auto dealers in the state employing 550 people. The Hubler Auto Group and has earned the right to brag by having one of the largest and most loyal customer bases in Indiana. Horsepower calculations based on trim engine configuration. Fuel economy calculations based on original manufacturer data for trim engine configuration. Please confirm the accuracy of the included equipment by calling us prior to purchase. Sunroof, Heated Leather Seats, NAV, 3rd Row Seat, Alloy Wheels, All Wheel Drive, Power Liftgate, Back-Up Camera. w/Technology Pkg trim, Fathom Blue Pearl exterior and Graystone interior. FUEL EFFICIENT 26 MPG Hwy/19 MPG City! AND MORE! KEY FEATURES INCLUDE Third Row Seat, Navigation, Leather Seats, All Wheel Drive, Power Liftgate, Rear Air, Heated Driver Seat, Back-Up Camera, Premium Sound System, Satellite Radio, iPod/MP3 Input, Bluetooth, Remote Engine Start, Dual Zone A/C, Smart Device Integration. Rear Spoiler, MP3 Player, Sunroof, Aluminum Wheels, Privacy Glass. Acura w/Technology Pkg with Fathom Blue Pearl exterior and Graystone interior features a V6 Cylinder Engine with 290 HP at 6200 RPM*. EXPERTS ARE SAYING Great Gas Mileage: 26 MPG Hwy. WHO WE ARE After more than 50 years in business, The Hubler Auto Group, through the power of eleven central Indiana locations, has sold hundreds of thousands of vehicles and is one of the oldest and most respected auto dealers in the state employing 550 people. The Hubler Auto Group and has earned the right to brag by having one of the largest and most loyal customer bases in Indiana. Horsepower calculations based on trim engine configuration. Fuel economy calculations based on original manufacturer data for trim engine configuration. Please confirm the accuracy of the included equipment by calling us prior to purchase. Sunroof, Heated Leather Seats, NAV, 3rd Row Seat, Alloy Wheels, All Wheel Drive, Power Liftgate, Back-Up Camera. Modern Steel Metallic exterior and Espresso interior, w/Technology Pkg trim. FUEL EFFICIENT 26 MPG Hwy/19 MPG City! SEE MORE! KEY FEATURES INCLUDE Third Row Seat, Navigation, Leather Seats, All Wheel Drive, Power Liftgate, Rear Air, Heated Driver Seat, Back-Up Camera, Premium Sound System, Satellite Radio, iPod/MP3 Input, Bluetooth, Remote Engine Start, Dual Zone A/C, Smart Device Integration Rear Spoiler, MP3 Player, Sunroof, Aluminum Wheels, Privacy Glass. Acura w/Technology Pkg with Modern Steel Metallic exterior and Espresso interior features a V6 Cylinder Engine with 290 HP at 6200 RPM*. EXPERTS ARE SAYING Edmunds.com's review says . the MDX remains a top pick for a luxury SUV. With three rows of seating and a large, comfortable cabin, it works great as a family hauler, and it presents plenty of value thanks to an impressive number of standard features for the money.. Great Gas Mileage: 26 MPG Hwy. VISIT US TODAY After more than 50 years in business, The Hubler Auto Group, through the power of eleven central Indiana locations, has sold hundreds of thousands of vehicles and is one of the oldest and most respected auto dealers in the state employing 550 people. The Hubler Auto Group and has earned the right to brag by having one of the largest and most loyal customer bases in Indiana. Horsepower calculations based on trim engine configuration. Fuel economy calculations based on original manufacturer data for trim engine configuration. Please confirm the accuracy of the included equipment by calling us prior to purchase. Moonroof, Heated Leather Seats, Nav System, Third Row Seat, All Wheel Drive, Aluminum Wheels, Power Liftgate, Rear Air. Gunmetal Metallic exterior and Ebony interior, w/Technology Pkg trim. FUEL EFFICIENT 26 MPG Hwy/19 MPG City! AND MORE! KEY FEATURES INCLUDE Third Row Seat, Navigation, Leather Seats, All Wheel Drive, Power Liftgate, Rear Air, Heated Driver Seat, Back-Up Camera, Premium Sound System, Satellite Radio, iPod/MP3 Input, Bluetooth, Remote Engine Start, Dual Zone A/C, Smart Device Integration Rear Spoiler, MP3 Player, Sunroof, Aluminum Wheels, Privacy Glass. Acura w/Technology Pkg with Gunmetal Metallic exterior and Ebony interior features a V6 Cylinder Engine with 290 HP at 6200 RPM*. EXPERTS CONCLUDE Edmunds.com explains . the MDX remains a top pick for a luxury SUV. With three rows of seating and a large, comfortable cabin, it works great as a family hauler, and it presents plenty of value thanks to an impressive number of standard features for the money.. Great Gas Mileage: 26 MPG Hwy. BUY FROM AN AWARD WINNING DEALER After more than 50 years in business, The Hubler Auto Group, through the power of eleven central Indiana locations, has sold hundreds of thousands of vehicles and is one of the oldest and most respected auto dealers in the state employing 550 people. The Hubler Auto Group and has earned the right to brag by having one of the largest and most loyal customer bases in Indiana. Horsepower calculations based on trim engine configuration. Fuel economy calculations based on original manufacturer data for trim engine configuration. Please confirm the accuracy of the included equipment by calling us prior to purchase. Moonroof, Heated Leather Seats, Nav System, Third Row Seat, Aluminum Wheels, All Wheel Drive, Power Liftgate, Back-Up Camera. White Diamond Pearl exterior and Ebony interior, w/Technology Pkg trim. EPA 26 MPG Hwy/19 MPG City! AND MORE! KEY FEATURES INCLUDE Third Row Seat, Navigation, Leather Seats, All Wheel Drive, Power Liftgate, Rear Air, Heated Driver Seat, Back-Up Camera, Premium Sound System, Satellite Radio, iPod/MP3 Input, Bluetooth, Remote Engine Start, Dual Zone A/C, Smart Device Integration. Rear Spoiler, MP3 Player, Sunroof, Aluminum Wheels, Privacy Glass. Acura w/Technology Pkg with White Diamond Pearl exterior and Ebony interior features a V6 Cylinder Engine with 290 HP at 6200 RPM*. EXPERTS CONCLUDE Great Gas Mileage: 26 MPG Hwy. 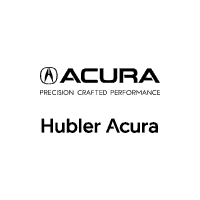 BUY FROM AN AWARD WINNING DEALER After more than 50 years in business, The Hubler Auto Group, through the power of eleven central Indiana locations, has sold hundreds of thousands of vehicles and is one of the oldest and most respected auto dealers in the state employing 550 people. The Hubler Auto Group and has earned the right to brag by having one of the largest and most loyal customer bases in Indiana. Horsepower calculations based on trim engine configuration. Fuel economy calculations based on original manufacturer data for trim engine configuration. Please confirm the accuracy of the included equipment by calling us prior to purchase. Sunroof, Heated Leather Seats, Navigation, 3rd Row Seat, Alloy Wheels, All Wheel Drive, Power Liftgate, Back-Up Camera. Modern Steel Metallic exterior and Ebony interior, w/Technology Pkg trim. EPA 26 MPG Hwy/19 MPG City! CLICK NOW! KEY FEATURES INCLUDE Third Row Seat, Navigation, Leather Seats, All Wheel Drive, Power Liftgate, Rear Air, Heated Driver Seat, Back-Up Camera, Premium Sound System, Satellite Radio, iPod/MP3 Input, Bluetooth, Remote Engine Start, Dual Zone A/C, Smart Device Integration Rear Spoiler, MP3 Player, Sunroof, Aluminum Wheels, Privacy Glass. Acura w/Technology Pkg with Modern Steel Metallic exterior and Ebony interior features a V6 Cylinder Engine with 290 HP at 6200 RPM*. EXPERTS ARE SAYING . the MDX remains a top pick for a luxury SUV. With three rows of seating and a large, comfortable cabin, it works great as a family hauler, and it presents plenty of value thanks to an impressive number of standard features for the money. -Edmunds.com. Great Gas Mileage: 26 MPG Hwy. OUR OFFERINGS After more than 50 years in business, The Hubler Auto Group, through the power of eleven central Indiana locations, has sold hundreds of thousands of vehicles and is one of the oldest and most respected auto dealers in the state employing 550 people. The Hubler Auto Group and has earned the right to brag by having one of the largest and most loyal customer bases in Indiana. Horsepower calculations based on trim engine configuration. Fuel economy calculations based on original manufacturer data for trim engine configuration. Please confirm the accuracy of the included equipment by calling us prior to purchase.